Rhubarb Radio at WxWM2 from Nicky Getgood on Vimeo. John Hickman at WxWM2 from Nicky Getgood on Vimeo. Jon Bounds at WxWM2 from Nicky Getgood on Vimeo. Ben Whitehouse at WxWM2 from Nicky Getgood on Vimeo. Well, true to form, I had a teensy hangover this morning. Par for the course, I say. 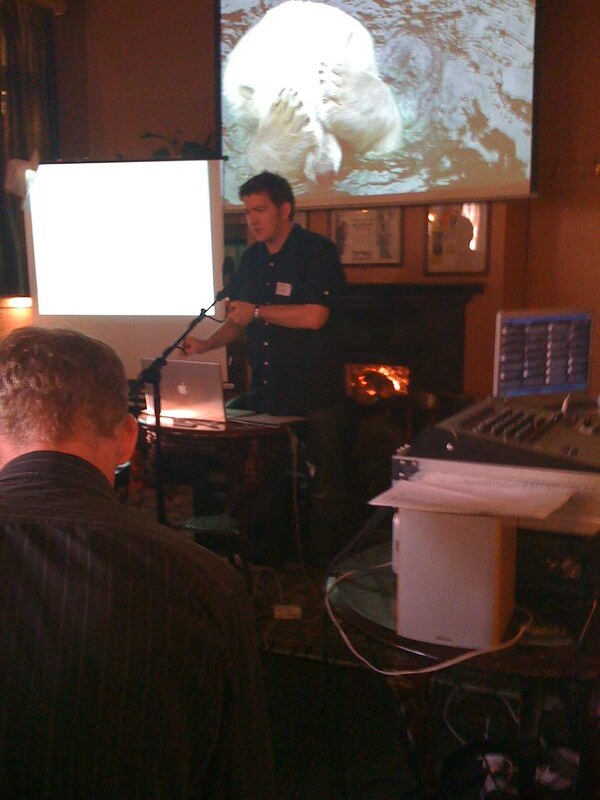 Needless to say, WxWM 2 went brilliantly – in its anarchic, chaotic, wibbly way. Just how we like it! A massive thanks goes to our speakers Dave Harte, Jon Hickman, Nicky Getgood, Jon Bounds, Gavin Wray, Neil Houston and Ben Whitehouse whose input made for, yet again, interesting and diverse content and acted as pivots for interactive discussion, debate and, in the case of La Getgood’s Digpuss talk, a chance to win a damp, muddy hat. Rhubarb Radio were, once again, superheroes of the highest order. Paul and Alex showed their usual grit, spirit and professionalism to help us take WxWM 2 to those who couldn’t be there. We’re very fortunate to have their support and can’t stress enough the excellent job they do. I’d slap myself senseless if I didn’t thank my fabulous WxWM (and Moseley Barcamp) team Nat and Julia Higginbottom and Jaki Booth. Slick, smooth and organised, they made getting it all together a breeze and were totally unflappable. Nat had to put up with me yelping at him across the room on several occasions when there were technical issues, and he just got on with it and sorted everything out. Jaki valiantly drove the WxWM twitter account for the bulk of the event and did clever things with gaffer tape. Julia provided much needed support and prep for the event – she also attended the Screen WM event, too – so was a link to their event and encouraged a few of the folk there to come over and see us once their event had wrapped up! 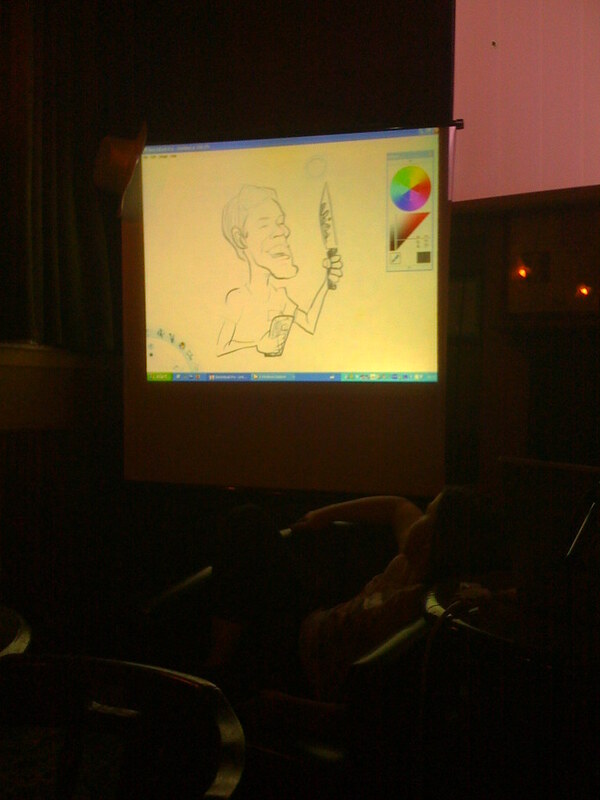 Alex Hughes‘ live cartooning skills have to be seen to be believed! Give Alex a tablet PC and a pen and he’s like a kid in a sweet shop. He deftly captured speakers in his own inimitable way – his rendering of Neil Houston as a knife-wielding psychopath was one of my particular favourites! A huge thanks to John Tighe and the staff at The Spotted Dog who let us have the venue for nothing. They opened up early, kept us stocked up with liquid refreshment and let us get on with the event! The Spotted Dog is a fantastic boozer in the heart of Digbeth and I’ve never had a bad night in there. Highly recommend it if you’ve not been there before. To all attendees, thank you all for making the event such a success. I mentioned at the beginning that you all make the content – not the WxWM team – and you did exactly that. You lot knock me for six at how utterly brilliant you all are. As Ben said in his closing talk, “awesome” people. Jon Bounds and Danny Smith announced that they will be attempting to set a world record attempt at radio broadcasting on Rhubarb Radio in the near future. Jaki Booth and Paul Taylor generated interesting discussion and debate from the room when they were picked to set a random question/topic to the room. Ben and Nicky plied us with a load of cake. Amazingly, I have not managed to get my mitts on any cake provided at either WxWM event! Morocco watched as Jon Bounds spoke – Clare Edwards was Skyping with a colleague in balmy Maroc and gave him a flavour of what WxWM was all about. A nice chap in Twitterland piped up about starting up ExEM as competition to WxWM. We threw down the gauntlet and encouraged him to go for it! We were joined by folk from Screen WM’s Postcard from the USA event – including SxSWi’s infamous Kebab panel genius Andy Gibson. Good-humoured MP, Tom Watson, joined us for a few after-event cheeky vimtos – was great to see him, even if I did start poking fun about MP’s expenses! My favourite little diva Gaby Higginbottom and her excellent brother James were with us for the duration too. Amazing, amazing kids and a huge credit to Nat and Julia. Please pop a link to your WxWM 2 blog post in the comments if you’ve scribed one and it’s not mentioned above. Once again, thank you to all of you for making it a success. Our next venture is Moseley Barcamp on 28th June and we’d love it if you could join us for a larger and slightly more structured event taking place as part of Moseley Festival. The stetson’s back on the stand and I’ve kicked off my spurs for now, but the WxWM spirit goes on unabounded!